If you still haven’t joined the thousands of business who have gone keyless, now is the time. Once you learn about the many benefits of having a keyless entry system you’ll be wondering why you left it until now. As the owner or manager of a business, you probably have a to-do list that never seems to get any shorter, add to that the challenging day to day issues of running a business that you have to deal with and you are probably swamped. Introducing a keyless system to your business has benefits that will ultimately help eliminate some of the annoying daily tasks that you or your staff have to deal with. As a business owner, you are responsible for the security of your employees, your property and your business assets. 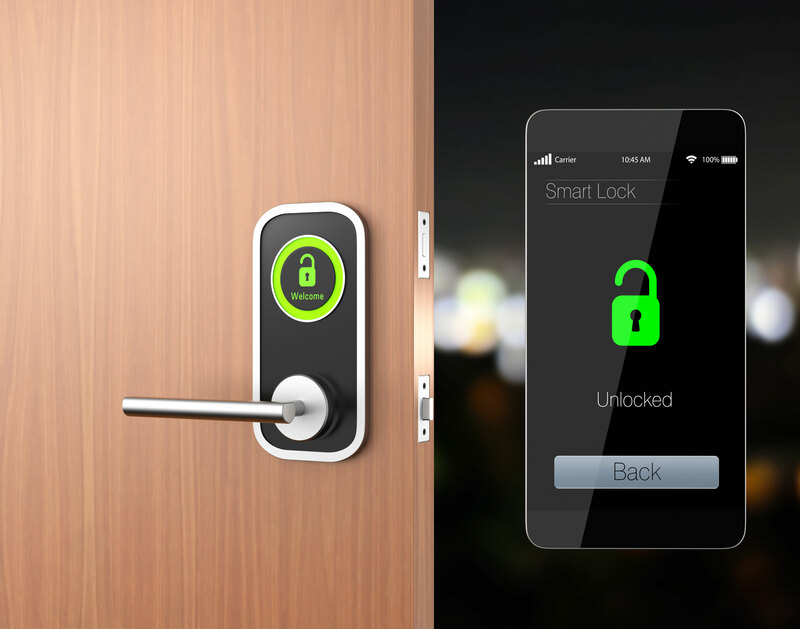 With a keyless system you can control who has access to the building, and even to which areas of the building. Unlike regular keys, each employee receives an electronic key card or fob, which cannot be duplicated. Keyless systems also track key card users giving you a full picture of all movements around the workplace. This is a great option when you want discrete entry to the building. Also, when an employee leaves the company or if a key is lost the card can easily make changes to access permissions, removing them from the company’s database quickly. The system can greatly assist you in assessing the security of your company. Just think, one key for multiple locks, no more walking around weighed down by a huge bulky ring of keys, having to look for the correct key every time you need to open a specific door. The keyless system can be integrated with other security systems that you have in place, such as alarms and IP camera systems or IP intercoms, for complete security of the workplace. You can even receive reports regarding the security of your workplace, including entry and exit hours, alarm details, etc. either by Email or straight to your smartphone. Now, you don’t have to be at work to know what is going on in the building! The keyless system can integrate with the company’s attendance tracking software making tracking of employees’ time of entry and exit much simpler and cost-effective for the business. Your employees will feel safer knowing that everyone who enters and leaves the workplace is monitored, especially if they are staying alone to work late. While the initial set up cost of the system might seem high, it is a very good investment when you take into account the cost of having an old-fashioned lock and key system, where you have to pay to have lost, stolen or broken keys replaced and lock repaired or replaced whenever necessary. And, of course, if there is a security breach all locks must be replaced, whereas with a keyless system you will have none of these additional costs. ADI Locksmith is a veteran locksmith company that covers the Sacramento and Roseville area. We would be happy to chat with you about how we can help install a keyless system in your workplace.